Batting great Sachin Tendulkar has extended his heartiest greetings to the people of Assam on the occasion of Rongali Bihu. 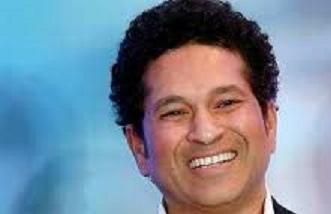 Tendulkar is regarded as one of the greatest batsmen of all time and also one of the highest run scorers of all time in international cricket. Amidst the hustle and bustle of the Lok Sabha polls, Assam is ushering in the Assamese New Year – Rongali Bihu. Cuckoo is the best harbinger of the spring. Bihu means lush green fields almost like a pastoral postcard, the lilting notes of Bihu songs, drum beats and flute notes. Nasonis (women Bihu dancers) dance to the beat of the drums in the village fields and in various Bihu functions and sweep the audience off their feet. The womenfolk can be seen preparing delicacies like laroo and pitha. Today (Sunday) is Goru Bihu. Cows are first bathed draped in colourful clothes and fed vegetables. Monday is the Assamese New Year – Rongali Bihu. People are busy shopping, feasting and making the rounds of several Bihu pandals to watch Bihu events.